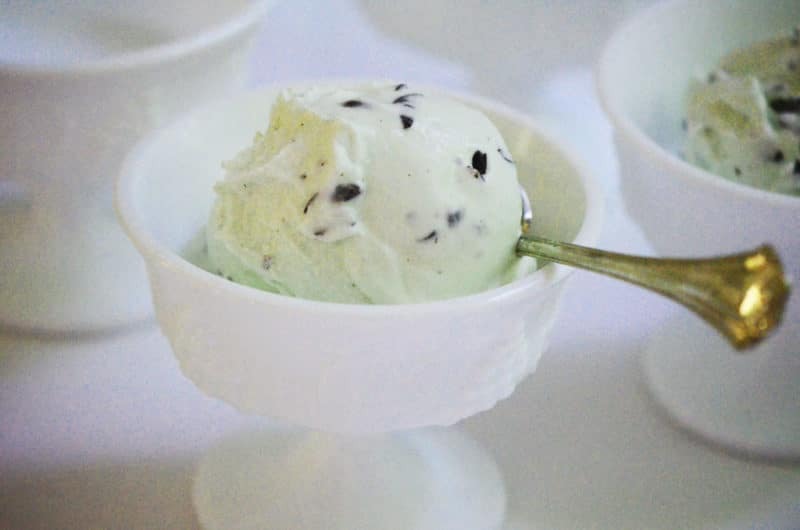 The mint flavor in Fresh Mint Chip Ice Cream depends on how much mint, or na’na, is used to infuse the milk and cream. It will seem like a ton of mint leaves, but that is necessary for full flavor. 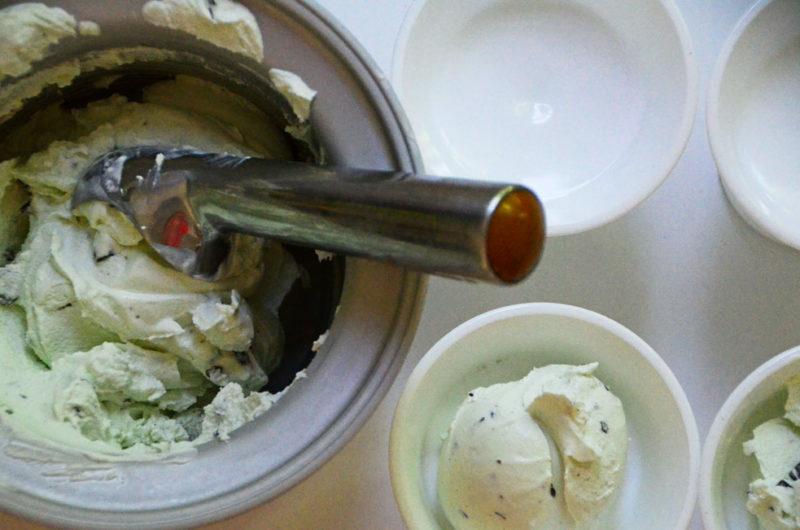 I have no hesitation about using a touch of green food coloring to go green on my mint chip. Use the best quality milk and cream you can find (local and organic is ideal). It’s safe to say this was my first real job. There had been a few other small jobs, like sweeping up the floral trimmings at Pontius Flower Shop on Main Street, or running around for my dad at the law firm. But this was different. This job entailed the kind of accountability that comes when you’re expected to be there more than a half hour a few days a week with a broom, or that comes when your father isn’t running the show. I had just graduated from high school, and I outright begged my parents to let me take the job. The problem was not that I’d be scooping ice cream at Melting Moments cafe, though my mom warned me, in her gentle way: just because you love their ice cream doesn’t mean you need to work there, honey. The problem was that the place was on the other side of town, and as the lowest man on the totem pole, I’d be closing shop more often than not. My parents would have none of me driving back across town at 1 a.m. by myself. So on those days, if I was going to take the job, they would be taking and picking me up from work. Wouldn’t you know, I let them do it. Hey, I was still a teenager, ok? I hadn’t yet graduated to the protect-your-parents-from-a-hassle mentality. At first, my thrill could not be contained. This was some of the finest ice cream I had ever eaten. Heck, it was the finest ice cream mid-Michigan had ever eaten. Small batch, stellar ingredients, and a stated commitment to both. And that was way back in 1986. I am pleased at my own early discernment of truly good ice cream, even if the stuff gave me an all-out stomach ache because of the fat content. I braved the pain every day that I worked there, because workers got to walk out the door with a free cone. No tummy of mine was going to come between me and my cone. I started with Melting Moments’ ever-loving Oreo cookie ice cream (one of the first of its kind), the base for which was somehow Oreo flavored, then studded with the cookies. But it wasn’t long before I gravitated to the mint chip, which became so addictive I have never looked back. I’m proud to say I’ve got my nephew in the mint chip club now too. These were no small cones—they were served up in our (I get to say “ours” for working there) homemade waffle cones. Those suckers had to be wrapped around the mold immediately off the iron, so after taking the waffle burns on my fingertips all day long, I was certainly taking my free cone home in one. The scent of waffle infused itself deeply into the clothes and the hair and the skin, so that to this day my nose knows waffle cone a mile away, and I sniff my sleeve to see if it’s still me carrying it on my person. The waffle burns and overpowering aroma had nothing, though, on the hard pack of the ice cream. This stuff was rock solid, and my arm not much thicker than the arm of my tennis racket. 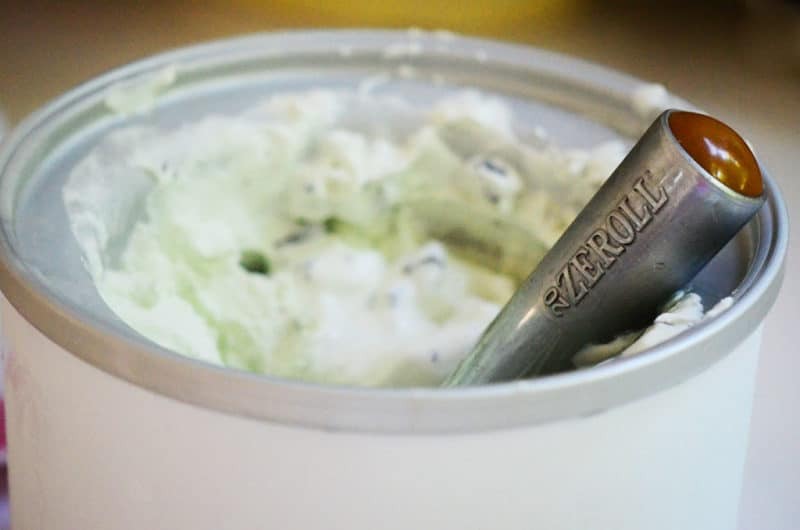 What I would have given for a good Zeroll scoop filled with antifreeze back then. All we had was a warm water bath to soak the scoops in, and that did nothing to cut into the ice. The vanilla was so hard that I would start praying or trying to cast a spell on customers as they came in so that they wouldn’t order it. I’ll never forget the betrayal of a particular child, who told her mother she wanted vanilla to take home to eat with her birthday cake. They ordered a pint, which I had to hand pack. I nearly took the kid out with my scoop. I was working up a good case of tendonitis in my elbow when all roads converged into this job having been a very bad idea. I came sauntering out one night, cone in hand, at 1 a.m. My mom and sister were waiting in the car in the street out back. A cop was hanging around; he had come up, flashed the light in the car, and given them a few choice words before he got a handle on the situation. They had been sitting there a while and that couldn’t mean much good to him. Then he sees me coming with my mint chip and that probably upped his irritation level. It’s too late for this, he said directly to me. I wanted to melt away with embarrassment, or at least give him my cone to show I wasn’t such a bad egg. Instead I got in the car and decided that even though I loved Melting Moments ice cream, it didn’t mean I had to work there. 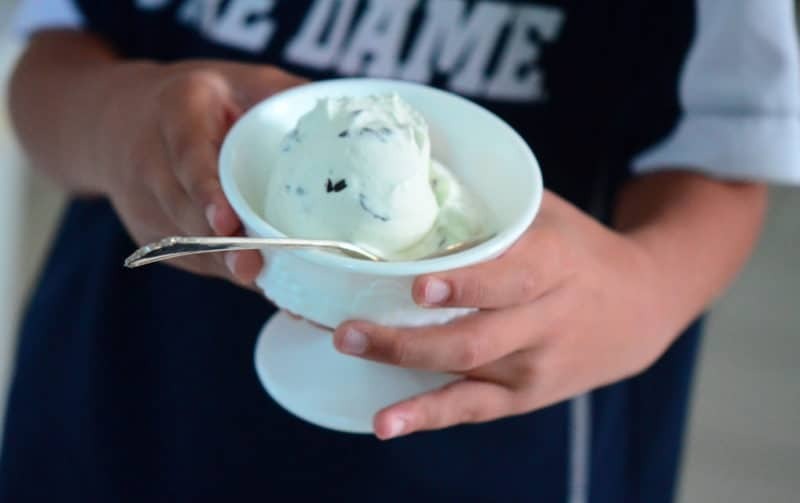 The mint flavor in this ice cream depends entirely on how much mint, or na’na, is used to infuse the milk and cream. It will seem like a ton of mint leaves, but that is necessary for full flavor. I have no hesitation about using a touch of green food coloring to go green on my mint chip. Use the best quality milk and cream you can find (local and organic is ideal). In a small saucepan, combine the milk and 1 cup of the cream, sugar and salt. Over medium heat, bring the milk to a boil, then reduce heat and simmer until the sugar is dissolved. Remove from the heat and add the vanilla. 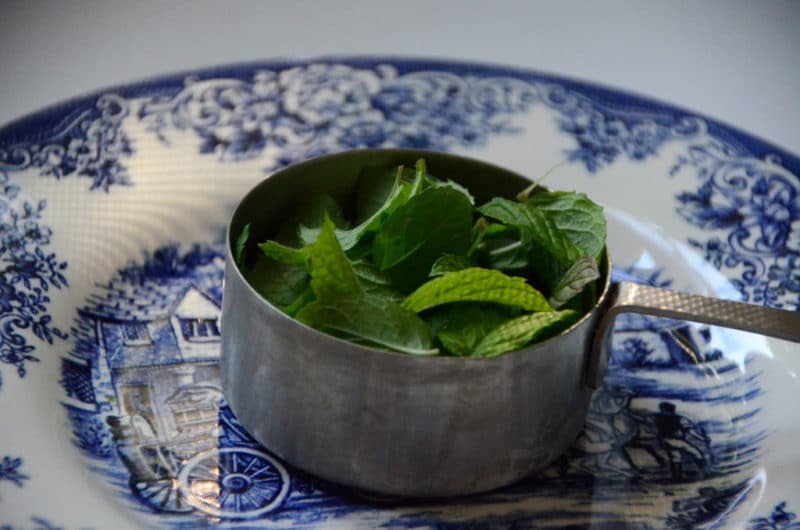 In a small bowl, muddle the mint leaves with the end of a wooden spoon until they are slightly broken up to release the flavor. 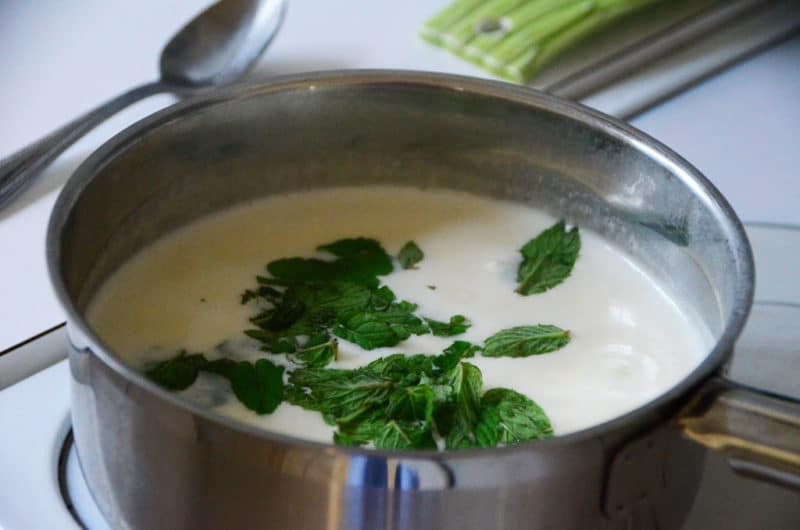 Add the mint to the hot milk, cover and infuse for 2 hours or up to overnight in the refrigerator for more mint flavor (taste and see). Strain the milk through a fine mesh strainer into a small bowl, pressing on the mint solids to extract as much flavor as possible. Add the remaining cup of cream (and green coloring if using). 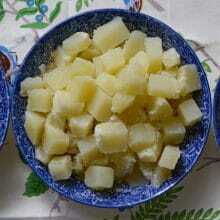 Chill the mixture in the bowl set over an ice bath or in the refrigerator. Process in your ice cream maker according to the manufacturer’s instructions. 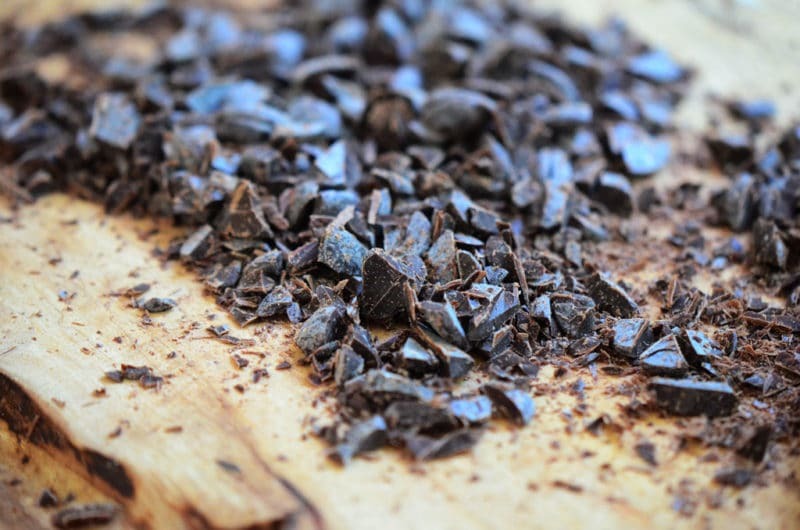 When the ice cream is nearly finished churning, add the chopped chocolate continue to churn until the chocolate is evenly distributed and the ice cream is finished. Serve immediately or freeze in an airtight container until the ice cream reaches desired firmness. 10 Responses to "Fresh Mint Chip Ice Cream, and a melting moment"
Can’t wait to try this! 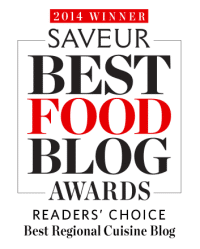 So happy to have another eggless recipe–thanks, Maureen! Belly laughs with this one, MEA. I say it was worth it. Could you have gotten into cooking school without Melting Moments on your resume and CV? I think not! Great reading of your first job, father, ice cream, etc. I looked at your link and was amazed the Cuisinart ice cream maker used no ice! Other brands I have seen had various mixing capabilities but the ice and salt always had to be there for the refrigeration. I am familiar with ice cream making because where I worked last a friend used to bring in a home ice cream maker and treat us. One time he added blue berries and they froze so hard it was like trying to eat gravel, but good! Your recollections of the Melting Moments cafe reminded me of my own love of the Sweet Shop in La Crosse, Wisconsin. They too made their own ice cream, and candy. My favorite? Grape Nut ice cream, they mixed the hard cereal (not flakes) into the basic mix, it softened the grape nuts, I think the mix was ordinary vanilla, the texture did something and was great. And your quotes are terrific, you must be a good reader that remembers! 1: by Kahlil Gibran – back a few emails. 2. by Pablo Neruda – more recent. 3. 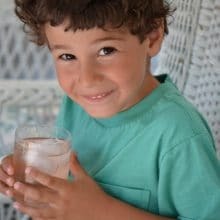 “I nearly took the kid out with my scoop.” by Maureen Abood. Thank you Jerry! And what a great memory of grape nuts ice cream! Dare I say that those are John’s hands holding the dish of ice cream? We’ll have to overlook the Irish shirt he is sporting. Logan and I will need to send out a BC shirt to balance Chris’ indoctrination! 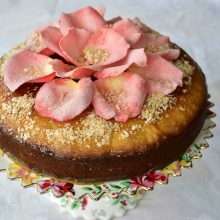 I am so so sooo glad that you posted this recipe! 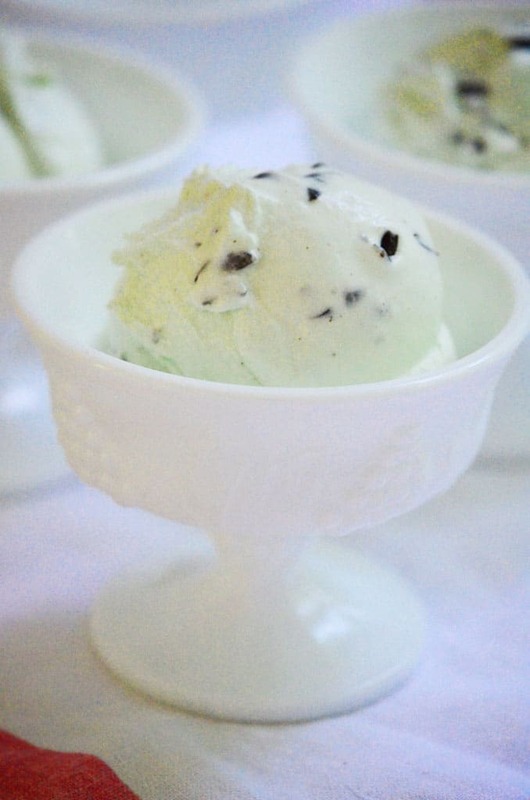 I’ve been looking for a mint chocolate chip recipe that doesn’t rely on mint extract, and instead uses fresh mint. You have the most beautiful blog, coupled with your exquisite writing. Always a pleasure; thank you so much. How special, kind and generous–thank you, Susan. I love your recipes. Thank you!